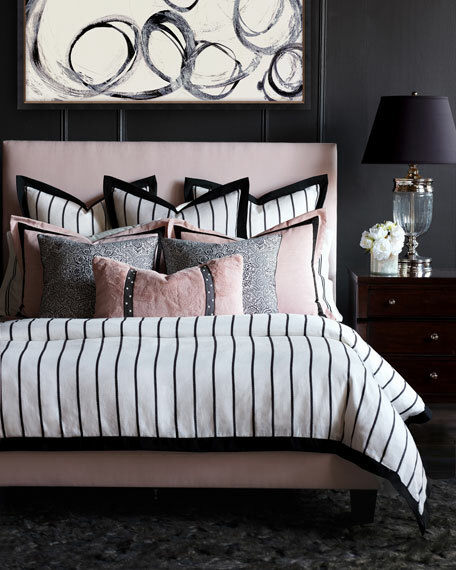 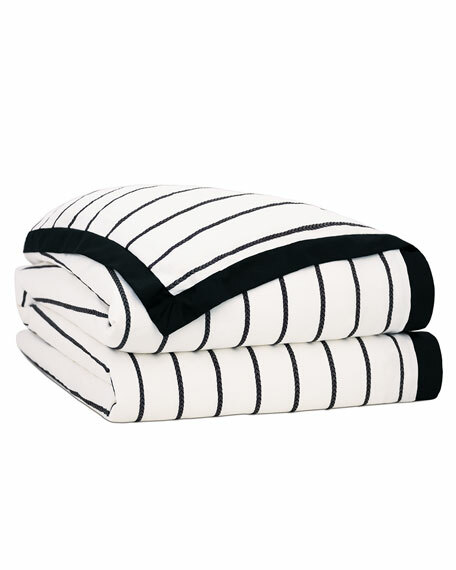 Striped duvet cover with solid flange. 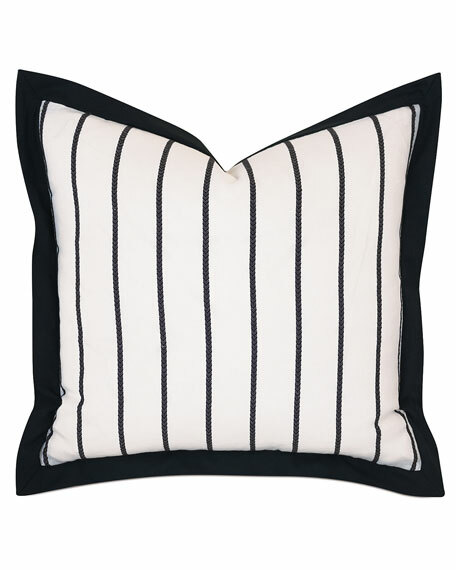 Striped sham with solid flange. 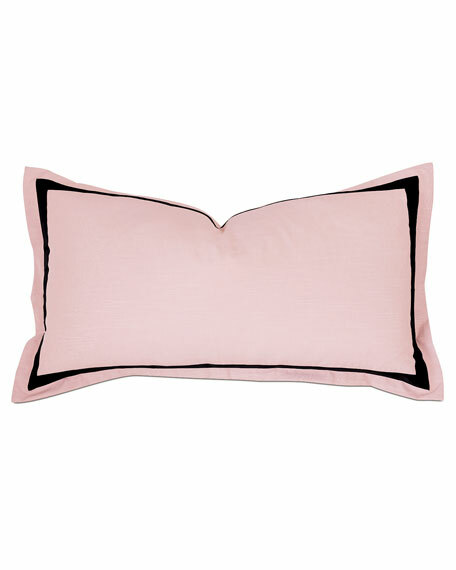 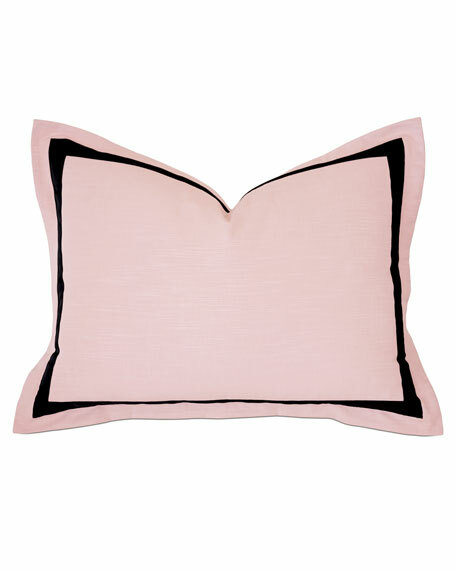 Decorative pillow with herringbone detail.